Cleveland Clinic researchers have discovered for the first time that faulty connections between nerve cells (neurons) causes Fragile X Syndrome (FXS), the leading inherited cause of intellectual disability and autism spectrum disorders. FXS is caused by mutations that silence the FMR1 gene (Fragile X Mental Retardation 1). 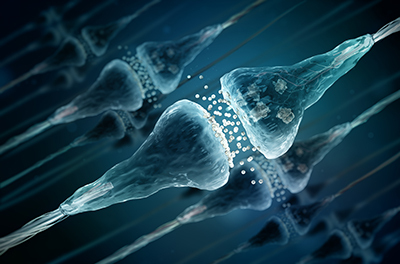 The researchers, led by Bruce Trapp, PhD, Chair of Neurosciences in the Lerner Research Institute, used the extremely sensitive three-dimensional (3D) electron microscopy to visualize and characterize neurons in the brains of healthy mice compared to mice with FXS. They focused their research in the hippocampus, which is the brain's center of emotion and cognition. According to Dr. Trapp, 3D electron microscopy provides far more sensitivity than traditional light microscopy, allowing nanoscale visualization. With this technology, Dr. Trapp's team closely examined the size and shape of dendritic spines, which are branch-like extensions of neurons that receive signals from other nerve cells. They discovered that the mice with FXS (FMR1 knockout mice) have more dendritic spines than normal mice. There also appeared to be fewer mature dendritic spines. This groundbreaking research suggests that enhancing synaptic pruning to reduce the number of faulty or immature neuronal connections may help restore some cognitive abilities in patients with autism spectrum disorders. Additionally, further research may explore restoring the function of the silenced FMR1 gene. According to the authors, one percent of the world's population and one in 68 newborns in the United States are affected by an autism spectrum disorder, demonstrating the urgent clinical need for better neurological and genetic understanding of the diseases. Safar Jawaid, PhD, is first author on the paper, which was published online in the December 23 issue of GLIA. Dr. Trapp is an internationally renowned neuroscientist. In 2017 he received the prestigious Outstanding Investigator Award from the National Institute of Neurological Disorders and Stroke of the National Institutes of Health. The research was supported by a grant from the National Institute of Mental Health (NIH).